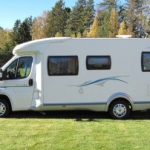 Massimiliano is a beautiful forty-something Italian man, with brown and gray hair. Before we discovered his real identity, we called it the “hilarious” man. We gave him that nickname because he is almost all the time laughing on his pictures. On his pictures, he exudes the joy of life, to the point we could almost feel that they are taken from a model promotional book. On these photos, Massimiliano is cycling, reading a newspaper, in a car or in a Jacuzzi for instance. Each time, he is smiling and seems to enjoy life like is there’s no tomorrow. 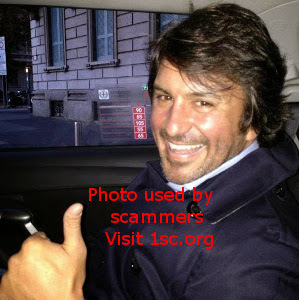 Scammers have probably understood that Massimiliano’s images were ideal to seduce women looking for love on dating sites. His photos can inspire desire to hurt women, looking for cheerfulness after a separation, divorce or bereavement. With pictures of this man, scammers create fake profiles on dating sites. Then they attempt to seduce their victims by posing as the beautiful Italian Massimiliano is. 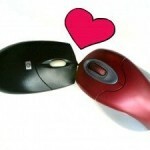 These scammers spend whole days in front of their computer screen to perpetrate romance scams. However do not confuse Massimiliano and Massimo. Massimo is another Italian man with brown hair. 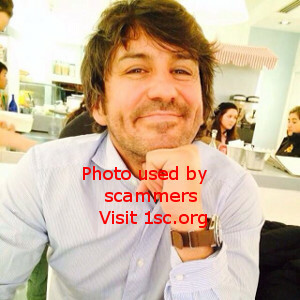 Massimo’s pictures are also well-known on 1sc.org for being spoofed on various occasions by scammers. The real Massimiliano is a professor in a university in Italy. It is not easy to get information about his real identity. 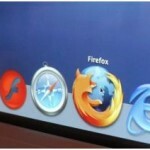 But he continues to regularly feed his official Twitter and Facebook accounts. So if you are in contact with a man who displays photos of Massimiliano, please note that there is a lot of chance that this is a fake profile! Our advice would be to stop immediately any contact with this man. However, if you wish to continue, please do not send money to that man, even in case of emergency, it is a scam ! The man behind these pictures is probably not the real one. i have been scammed, i have said in the past, that any women falling for these scheming, lying, no good wasters, deserved it. But after being befriended on facebook by a so called “widower with three kids”, two weeks later, after being sucked in all his lies, he is looking for money. No alarm bells went off until i sent him 300 euros (not a fortune i know), but then more lies and things weren’t making sense, looking for more money. 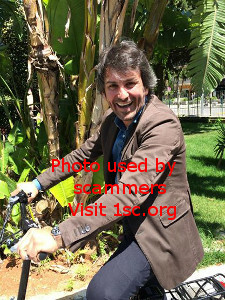 A friend of mine checked out his photos, which turned up on the scammers websight. I am too ashamed to oust him on facebook and have everyone i know see what a vain, stupid woman i’ve been. I have not only been scammed once, but twice in the last 6 weeks. The first time was by a Jean Claude Glerget from the north of France, i left a comment i think it was here about it and he was blocked from my facebook, i was stupid enough to fall for all the lies and the photos he was sending me of him and his twins (which of course were really of Massimilano Titone) and ended up sending him 300 euros. He tried to get me back with different names but i recognised the photos and ignored him …… But then, i thought i had found the real guy in the photos (the picture of M.T. blowing a kiss to the camera, i traced him to «Hangouts» and got talking to him and he was very sympathetic and said that he knew of a way to get my money back, but it would mean i would have to send him 100 euros ! He played me just like the other guy did and i just couldn’t believe that this was going to happen again, so thinking i would get my money back, i sent him the 100 euros. 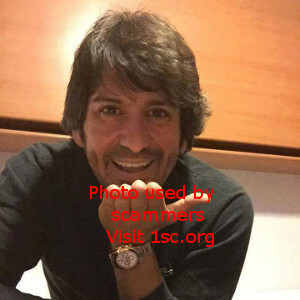 Too late i did some more research and finally found the real Massimiliano, he has nothing to do with this scamming and these scammers are using his profile for their own ends. Hallo, leider ging es mir jetzt genauso. 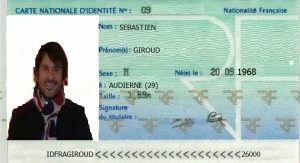 Bei mir hieß er Sébastien Giroud und hatte auch Zwillinge. Ich hatte wirklich gehofft, endlich den Mann für´s Leben gefunden zu haben. Er wollte zu mir nach Deutschland kommen, nur musste er vorher in die Elfenbeinküste und hat mir von dort einige Notfälle erzählt, wofür er unbedingt Geld brauchte. Leider habe ich ihm geglaubt und ihm dieses Geld geschickt. Er hat mir zwischendurch einige Fotos von sich und seinen Kindern geschickt, die ich kopiert habe. This beautiful guy also wanted to rip me off. Our story started on November 1st and he fell in love instantly. He played me the story of the widower raising his 7-year-old daughter (Grace) alone. Then hasty departure for Nigeria because of a clearance of goods there. 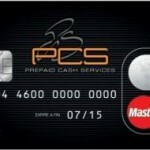 There follows a problem with his credit card and a request for $1000. I starter to think it was a scam and did not send the money. For me he calls himself Massimiliano Guy Roberto. In your photos, I recognize it under 4 different identities but with the same photos that I own and which are also on Instagram. Go see in the photos file under the numbers 4, 23, 105 and 125! 4 additional identities for this beautiful face! I am happy to have had flair. Watch out ladies! I was contacted by a certain Sebastian Christian, who seduced me with photos of the big smile of massimiliano titone and these adorable children (may God protect them) and he played well the happy guy that goes with also. Fortunately I noticed on time the scam 2 days ago. He is not aware of this, I continue for the moment, I wanted to know if the fact that I am still in contact with him (on hangout) can help to catch this scammer, if not I block him. a response please, as soon as possible because lying is not my stuff and he will eventually detect it.